It’s the end of the year so no gaming blog is complete without a glut of ‘best of the year’ posts and being the sheep that we are at Polyhedron Collider here's the first post following that tired cliché. Here we're going to look at my best games of 2012 that I played. Unfortunately there are far too many great games that I've not had the opportunity to play and I'll start by doing a recap of those. Fast on the heels of the Talisman release, it's been a big month for digital licences of Games Workshop games. There have been two major announcements in the form of a Creative Assembly Warhammer game as well as a video game of the classic Space Hulk board game. But they are not the only games currently in development. The first big news announcement recently was that Creative Assembly, developers of the Total War series of PC games has obtained the rights to Warhammer Fantasy and is going to make several games based on the licence. There are zero details at this point but the development house have made a history for themselves creating in depth, regiment based battles that perfectly suit the Warhammer licence. As a kid growing up in the 80's there was a trinity of cartoons that came known to me as the never ending stories. These where series of foreign made animations that no matter how many you watched you never seemed to be able to see all of them, I don't know whether there were just hundreds of episodes or if Edd the Duck was screwing with my mind. These three unwatchable shows where Dogtanian and the Three Muskehounds, Mysterious Cities of Gold and Around the World with Willy Fogg. This last cartoon transformed Phileas Fogg into an anprhopomorphic lion and stretched out his adventures into 26 episodes of animated fun. Spurred on by this enjoyable kids TV program a group of wealthy gentlemen set a bet to travel by rail to as many of America’s cities in 7 days. In Ticket to Ride you take the role of one of these chaps with more money than sense as you lay down plastic trains onto a stylised map of the USA. The thing is you do this by physically putting train cars on a board and building routes between cities. This leads everyone to think Ticket to Ride is about building railways but thematically this game is actually about travelling. 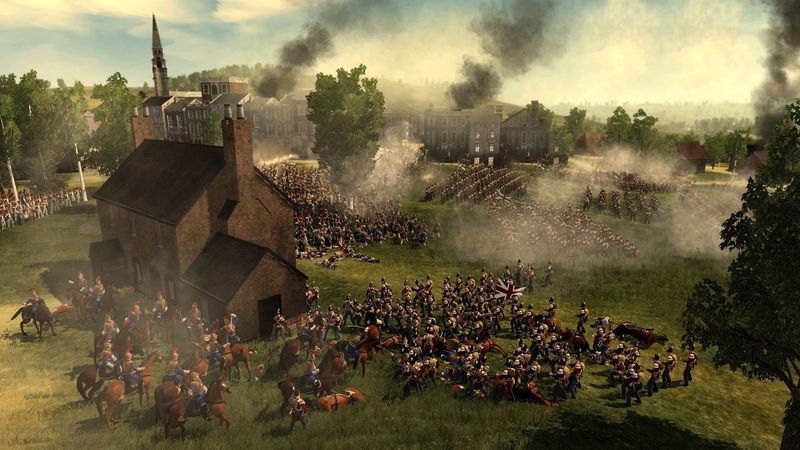 There's a bit of meme going through the various gaming blogs at the moment where writers are answering a series of questions to prove if they are a proper wargamer. The Wargaming Site started it all off and, in his usual in depth style, Sir Frontline gamer has written a lengthy piece about why we should ignore it. This makes the rest of this article rather academic but here goes anyway. Table top gaming can be an expensive hobby. Whether it’s collecting all the source books for your favourite RPG, building up your miniature armies or chasing the latest hot board game (with all of its expansions of course) it can take quite a bit of investment. It doesn’t need to be this way and in this article I’m going to look at the approximate cost of setting up a game for a table top miniature game. This doesn’t include the cost of an actual table top or any scenery and terrain but it does consider the cost required for two people to get a game together. All prices listed are the recommended retail price (RRP) in UK pounds. In all cases I’ve assumed you’re going to be using official models and no proxies. Many moons ago Games Workshop released the fourth edition of their eighties board game Talisman under their Black Library brand. The game have since transferred to those blinged up game peddlers Fantasy Flight but included in the original Black Library version was a small advert for a video game version of Talisman for Xbox and PC by Capcom. Sadly the Capcom version was never heard of again. Capcom eventually blamed the project’s cancellation on the difficulties of replicating the social experience of playing Talisman in a virtual environment and that a typical game of Talisman can last 5 hours and that was the end of that. When I got back into Warhammer 40k last year I raided my attic for miniatures and did the best I could to rearrange my Eldar army into a 5th edition force. The original miniatures were all bought for 2nd edition so there was some rejigging required to bring the units in line with the latest codex. Most of these were simple changes and were supplemented by eBay purchases to try and keep the model styles in line; buying exarchs for aspect warrior squads was where most of my effort was concentrated. One massive hole in the army was the Autarch, a combat based HQ unit that would be better suited to my low point games than expensive lava gods or psychic heavy witches. 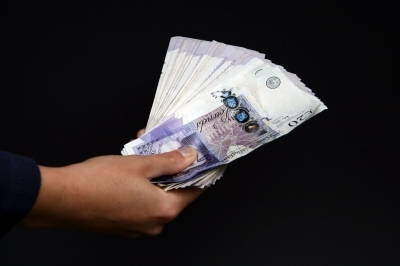 So I stumped up the cash for the latest Eldar Autarch model in Citadel’s finecast range. There’s no such thing as an Arkham Horror videogame. 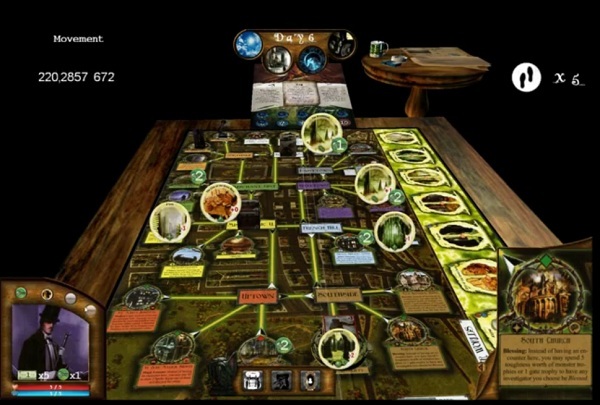 It seems like a hole in the market as there is a desire for such a thing but as yet Fantasy Flight Games haven’t pushed the giant of horror board gaming into the digital domain. They have however done the next best thing and created a digital version of Arkham Horror’s dice based little brother Elder Sign for those advanced telephonic devices in the form of Elder Sign: Omens. 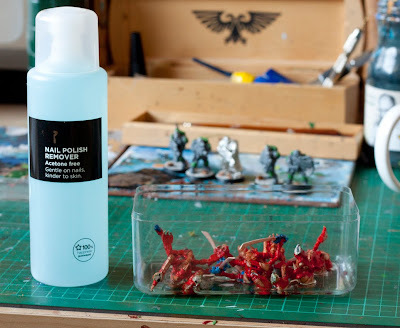 Are you thinking of getting into a miniature wargame but are baffled by most of the options? Not sure which rulebooks to buy and what are the miniatures you need to start a game? With many miniature games this is a problem; you need to buy a rulebook first just to get an understanding of what miniatures are required, when what you really want is get everything you need in one go. Many game publishers have released starter sets for this very need. They usually include a full set of rules and two starter factions; everything you need to play. Over the last few weeks quite a few starter boxes have been released or announced so let’s have a look at the newest starter sets on the market ready to get you into table top miniature games. Following from my post about 3D printing your own game components at home. Well this chap has been manufacturing dice since the 1970s and has some very interesting things to say about how dice are manufactured. Have you ever watched an episode of Star Trek and wanted to have your very own replicator? Of course you have and you’re not the only one. For years the world’s top engineers have been designing ways of making things out of simple raw materials without the need for an entire workshop. In the past these devices have been massively expensive to buy and very messy to run. In the last few years the technology in 3D printing has advanced to the point where a 3D printer is within the price range of the home user. Writing a review of a miniature war game isn’t as straightforward as writing a review for a board game. For most people a board game is going to be a completely standalone affair; everything should work straight out of the box and you shouldn’t need to add expansions to make it work. However with a table top battle game you’re going to expect to add extra units, add extra factions and even have some form of wargaming table and scenery to hand. Therefore to review Warmachine we’re going to split the review into multiple parts. This first review will cover the Two-Player Battle Box as a single entity. The second part will cover the game as a whole. One of the reasons for doing a first impressions section of this blog was to cover games that I won’t ever play again, because I don’t want to. The game could be dull, convoluted or just plain broken. It’s a testament to how many great games there are out there that there’s very few games I won’t touch after just one game. However, you do have permission to shoot me if I ever attempt another game of Peloponnes. 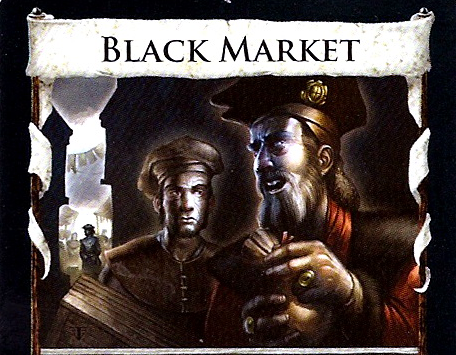 One of my criticisms of Arkham Horror was the lack of any background information. One area I felt was particularly left out was the other worlds that the investigators visit while trying to seal gates. So here’s a look and the backgrounds and origins of the other dimension in time and space. I was 4000 miles from GenCon but last week my Twitter feed exploded with news, photos and session reports. Here are the snippets of news that stood out. When you think about it, Tolkien has a lot to answer for; without his little tale about a short hairy bloke and a magic ring we wouldn’t have the high fantasy genre we all know and love. It’s true that goblins, dwarves and elves existed in various folklores before Tolkien but it was him that brought them all together into an epic tale about returning a ring. It would seem that online collectible card games are like buses, you wait for one to come out and then a whole ruck of them comes at once. With the Kickstarter announcement from Gary Games it would seem that there are not one but three video games based on the collectible card game format in development. It looks like the U key on Gary Game’s keyboard needs replacing either that or the game is about forging Earth’s sun. Either way Gary Games, those blokes behind Ascension, are attempting to kickstart their way into a digital collectible card game. They’ve got a bit of help from some bloke called Richard Garfield, you may have heard of him as being the designer a little card game called Magic. In other words this looks like a bit of a dream team. One of the nifty features being advertised is that way in which your cards can gain experience and evolve over time. What’s this you say, a look forward to the most anticipated games of 2012, when we’re already over half way through said year? Well yes, first of it’s a shameless rip off of Fire Broadside’s article (a blog you should pay a visit to if you’re remotely interested in board games or miniature games) and secondly because even though many of these game shave been out a few months I’ve not had any chance to play them. It’s also curious how many of these games are from Fantasy Flight Games. 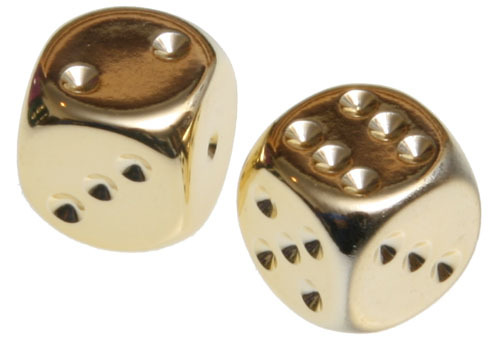 Have you ever played Yahtzee? Of course you have. It’s a simple game mechanic, roll some dice and choose which ones you want to re-role, whatever you’re left with is your result. In this First Impressions I look at two games that use this basic mechanics but make games much more monstrous than Yahtzee. How do you describe a game like Neuroshima Hex? It’s a Euro-style tile-laying game but with guns? It’s a miniatures skirmish game without dice or miniatures? It’s a collectible card game played on a board? It’s post-apocalyptic asymmetrical chess? Neuroshima Hex is all these things and it’s absolutely awesome! The problem with writing reviews is that to get a good feel for a game you need to play the it several times. But if a game is particularly bad or you just have a bad experience with it you’re not going to be tempted to play it again. Then there are the games that someone else owns and brings to a game night and you don’t get the opportunity to play it again. I’m going to start writing a series of first impression articles covering two or three games in each. Some of these games will have full reviews later on but some may never be mentioned on this blog again. After some brilliant blog posts from Frontline Gamer and Fire broadside on the games that defined them I thought it would be interesting to look back at what games have had the biggest impact on my gaming life. My interests these days are mostly in board gaming but it wasn’t always that way. Privateer Press, a company more famous for its miniature wargames, is releasing a boardgame this year, Level 7 [Escape]. Well they've released a teaser video for it, and boy is it a teaser. This is the kind of high level production we expect from expensive video games not board games. Five actions are never enough. I’ve summoned my cleric, moved her into range of my unconscious wizard, healed him, and moved him into position, which means I only get one attack. Undo! What happens if I don’t move the wizard, or use that extra move to boost his power? These are the difficult decisions that will plague you if you play Hero Academy and I thoroughly recommend you do. Nyarlathotep, Shub-Niggurath, Cthulhu, Azathoth, if you recognize any of these words with more consonants than a Welsh village you will know they are the names of the Ancient Ones; god-like aliens who look upon humanity as we look upon insects. You will also know that this game has nothing to do with Batman. Arkham is the name of the fictional town in Massachusetts in which HP Lovecraft based many of his horror stories. In Arkham Horror the fabric of space and time is falling apart and portals to other worlds are opening, spitting strange creatures onto the streets and one to eight players take on the role of investigators who must battle these monsters, close the gates and prevent the Ancient One from ripping a hole in the space time continuum and destroying the world. Radio is dead they say but podcasts are a great way to keep up on the latest news and listen to like-minded individuals talk about your favourite hobby. There are huge amounts of podcasts out there and a great many table top gaming podcasts. Your listening time is limited so here’s the pick of my favourite gaming podcasts. 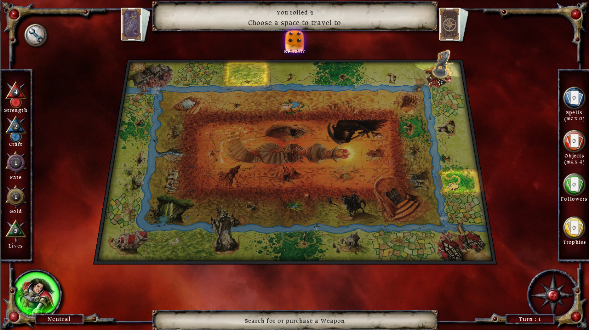 One of the main criticisms of deck building games, such as Dominion and Ascension, is that you're not really playing against another human being but instead playing a game of multiplayer solitaire. Nightfall is a game that addressees that balance. It takes many of the deck building mechanics but turns the genre into a game of direct confrontation. Sneaking into Kickstarter this month is Ace of Spies a sneaky game of card collecting. In the early days of collectible card games players had to buy a completely random set of cards and then try and cobble a playable deck from the cards available. Then starter decks where introduced that allowed players to play straight out of the box and then supplement their deck by buying packs of randomised booster packs. It’s the format that has worked for the world’s leading collectible card games such as Magic: The Gathering, Pokémon and Yu-gi-oh. The system is stolen wholesale from the trading card and or sticker album system and even has levels of rarity with some of the most powerful cards also being the rarest. This randomness means getting hold of the card you want requires complete luck and could involve buying hundreds of booster packs. What constitutes a classic? The Morgan is a classic car because of its history and enduring style. Citizen Kane is a classic film because of its great story and filming techniques that still seem fresh today. What about classic games? Monopoly? Chess? 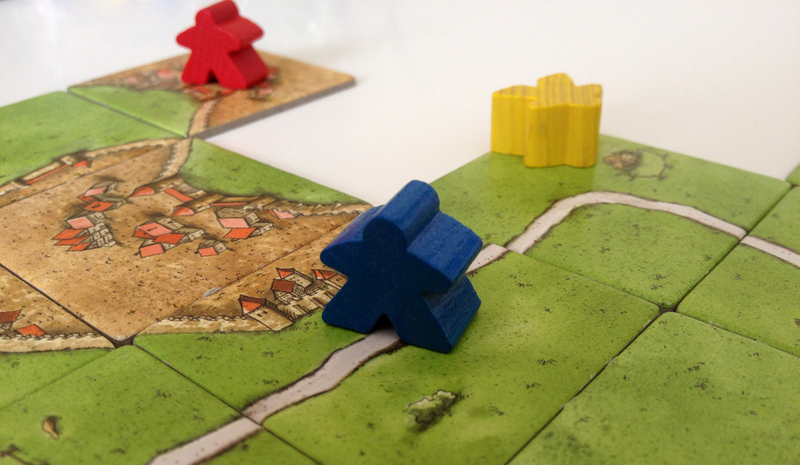 Carcassonne? This year marks the 25th Anniversary of Warhammer 40,000. Whether you love or hate Games Workshop’s miniature based battle system, you can’t ignore the impact the grim future of the 41st millennium has had on gaming. So let’s have a look at the history of this wargaming behemoth. There's no doubting that Magic: The Gathering is a monster of a game. The collectable card game has been going strong since its inception in 1993 and shows no signs of stopping. There have been many videogame adaptations of Magic; some bad, some woeful and some of them playable. Magic: The Gathering - Tactics takes a fresh approach, rather than being straight port of the classic card game it recreates many of the card game’s mechanics in a turn based spatial combat arena adding an extra dimension of strategy. I had the opportunity to play the latest iteration of Nightfall on the day it hit our UK shores so I thought I'd pass on my impressions. If you've not played Nightfall it can best be described as the result of a mad professor's experiment to create a hybrid of Dominion and Magic. Nightfall creates a world of vampires, werewolves, hunters and ghouls similar to that of White Wolf's World of Darkness or the Underworld films and is a deck building game which involves using your undead minions to attack other players. Each successful attack results in the victim adding a wound card to their deck and at the end of the game the player with the least wounds wins. There's also a fancy chain mechanic that happens when you draft cards into play and allows you to play a stream of chained actions which your opponents can then continue. At first glass it’s a complicated game and it takes a game or two for the chain mechanic to sink in. One of the great things about Dominion (and indeed all deck building games) is the ease in which they can be expanded by simply adding new cards. Dominion has a range of large expansions that add many kingdom cards to the base game. There are also a range of promo cards that can individually be added. The promo cards can’t be bought in your local game shop. Generally they are given to shops and distributers to give to their customers as they see fit. If you’re lucky your friendly local game shop will give you these promo cards if you buy from their shop. If you’re not so lucky you can buy these promo cards from the BoardGameGeek store or eBay, and they cost next to nothing. Why can’t I just go out and raise the capital I need? prescriptive about what you can do to raise investment. Well the UKIE are currently lobbying the government to change their minds after the rather stonking success of Double Fine Adventure. This may be all about video games but it will have a knock on effect on the world of board games. Every so often a mechanic comes along that takes the gaming world by storm and in 2008 Dominion introduced the concept of deck building. This is a mechanic whereby players start with a small deck of cards and add to this deck by acquiring cards that all have new abilities and effects. Deck building is now everywhere and has become a game genre of its own so let’s have a look at the pioneer in this field. We love Arkham Horror. We love the struggle against the Great Old Ones, the theme filled cards and the deep game. What we don't like is the faff. The game takes ages to set up, it's full of counters and cards and confusing rules. Well fear not as an unofficial computer version is currently being developed. It's currently in beta stage and when testing is complete the makers are going to approach Fantasy Flight to make it legit. So far the it looks extremely faithful to the board game. For more information check out the youtube page. Vying for your hard earned pennies this month is Viva Java, a board game about growing coffee. In VivaJava, players send their researchers to hot spots around the globe to gather the perfect bean. This may bring them into contact with other players who are also on the hunt, creating a crucial choice: Go it alone and continue to research, or join forces with that opponent, hoping to combine beans from both player's bags and share the score with a superblend. Going it alone with research can often prove useful as players spend time in the lab developing abilities that grant them an advantage. However, in VivaJava the bold taste of victory will go only to those players who are able to balance solitary research with cooperation amongst their fellow gamers. Why should I back it? 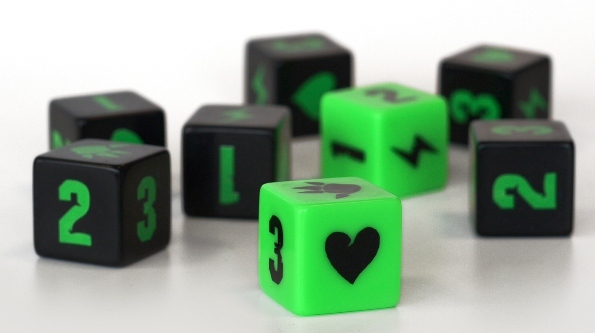 Because it is being produced by Dice Hate Me Games, the makers of Carnival, a previously successful Kickstarter who have experience making and shipping projects. Also the game has a high level of sheen, the product looks good and the game mechanics of joining forces or going alone looks interesting. Why should I hold onto my money? It all depends if you can get excited by a game about growing and selling coffee. Also, if you’re outside the US, $80 (around £50) can be quite a high pledge to get a copy of the game. And the game won’t be shipped in a coffee tin. Viva Java has already met its project goal of $15,000. Have you ever played a game and said to yourself “I can do better than this"? If so you’re not the only person to do this, and many people who do this fund their projects via Kickstarter. Kickstarter is a crowd funding website. Game designers set a funding goal for their project. This is usually the outlay required to manufacture and distribute the game. The public can then fund or 'pledge' any value they want. Each backer is then rewarded depending on how much they pledge. This basic pledge usually bags you a pre-order of the game. Higher pledges will usually get the backer something interesting or unique. It could be signed copy of the game or artwork, having the backer's name or image used in the game or a special edition of the game. If a project doesn't meet its funding goal then nothing happens; the funds are returned to the backers and the project doesn't go ahead. There are a number of these services available but Kickstarter has become the system of choice for board and card games. There have already been a number of notable successes on Kickstarter. Carnival, D-day dice and Alien Frontiers have all smashed their targets and become a success. Subsequently Kickstarter is becoming full of potential games. Kickstarter has generated some controversy. There are some who believe that because these games do not pass through a traditional publishing process then the game has not undergone the vetting, play testing and proofing that a professional company would conduct. This would mean that Kickstarter could be full of poor quality games. There is also the potential risk of a con or a project going wrong and all parties losing their money. So far this hasn’t happened on the board game section but there is evidence of other Kickstarter projects going wrong. As with any project, investors should look carefully into the project before putting forward the money. The website has some flaws. Considering the Kickstarter concept relies on users finding potential projects the browsing mechanics of the website are very poor. Browsing projects can be difficult and unless a particular project is featured or already popular it is very difficult to find. Another issue is the Kickstarter is an American website and is subsequently American focused. This means that all pledges are in dollars and the website is not really designed to support foreign backers. Thankfully most board game designers have seen past this issue and offer separate rewards for non-US backers. This usually means as a backer you will have to pledge more to cover international shipping costs but its does mean you’re rarely going to see non-American games. Even with these issues Kickstarter is causing a bit of a revolution amongst the board gaming community. Being part of a new product and supporting its success is a big draw and who knows you may be one of the investors behind the next big game. Check out the board and card games section of Kickstarter here. There comes a time in every gamer's life when they look at the plastic moulded miniatures in their games and say to themselves "that would look so much better painted". In some cases they're right but the road to awesome miniatures is paved with shaky hands, thick paint and dodgy colour schemes. You probably know that a Munchkin is a creature of diminutive stature that likes their roads yellow and constructed from a sturdy brick, you may know that a munchkin is a breed of small cat, and if you play role playing games you may have come across the term munchkin as a player who plays to win rather than for the roleplaying experience. 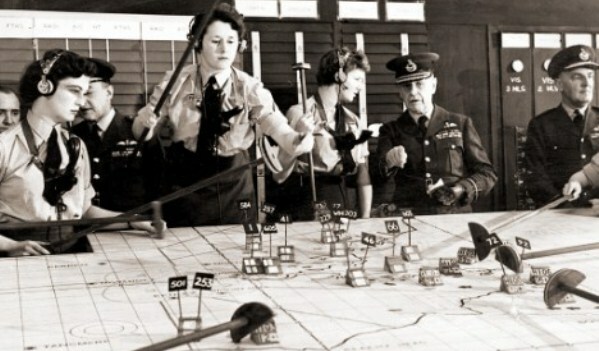 Are you a proper Wargamer? Because I'm not! 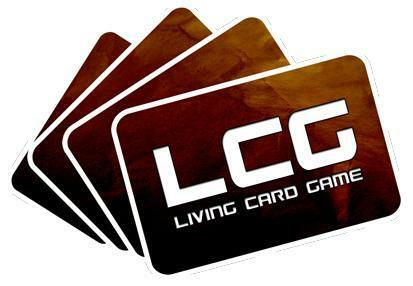 What is a Living Card Game?